Old meets new in the lobby, and everywhere else. 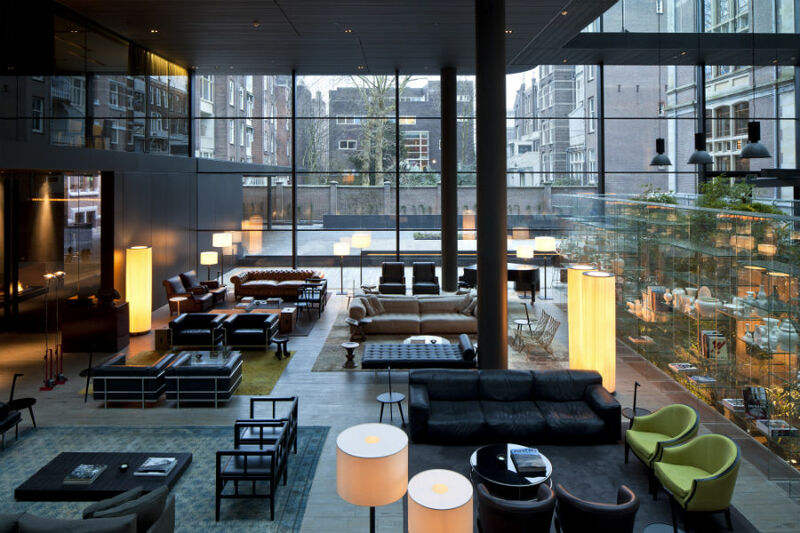 All hotel photos courtesy of Conservatorium Hotel. 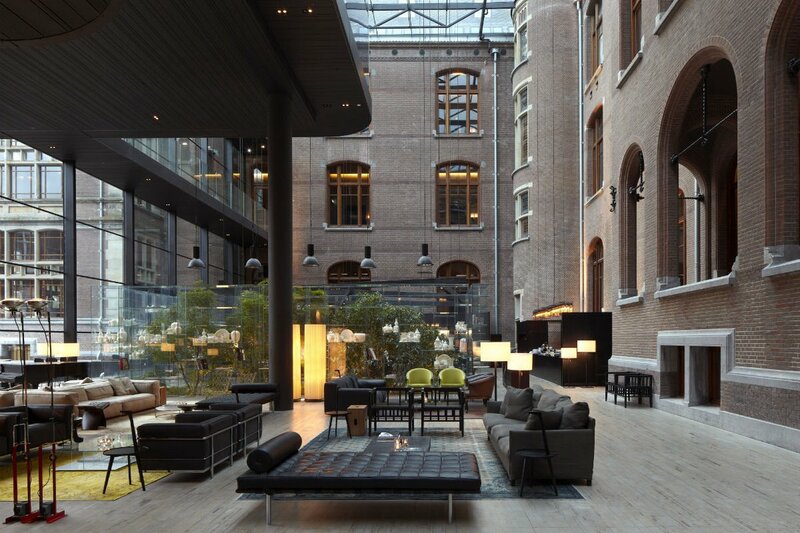 Popupla's Pavia Rosati went to Amsterdam on business and fell in love with Conservatorium, a beautiful structure where old meets new. 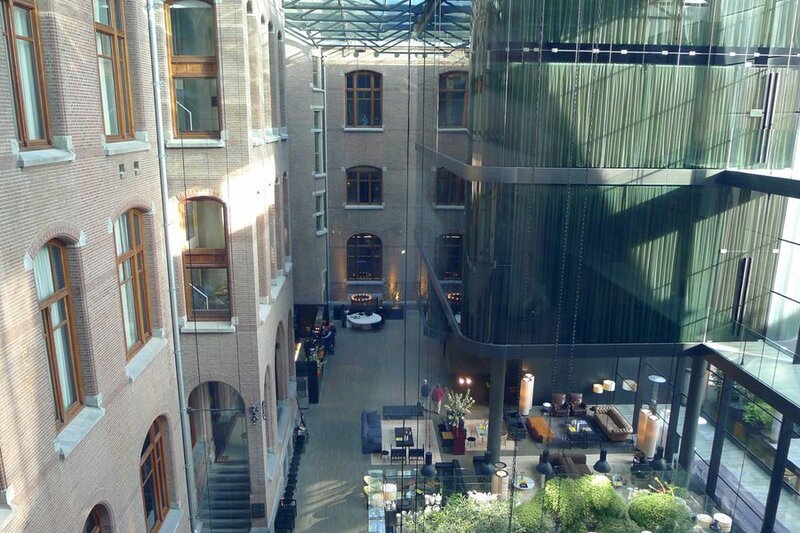 My Amsterdam plan was to stay at two hotels: the Dylan, a small inn on a ridiculously picturesque canal, and then , a much bigger hotel on Museum Square. 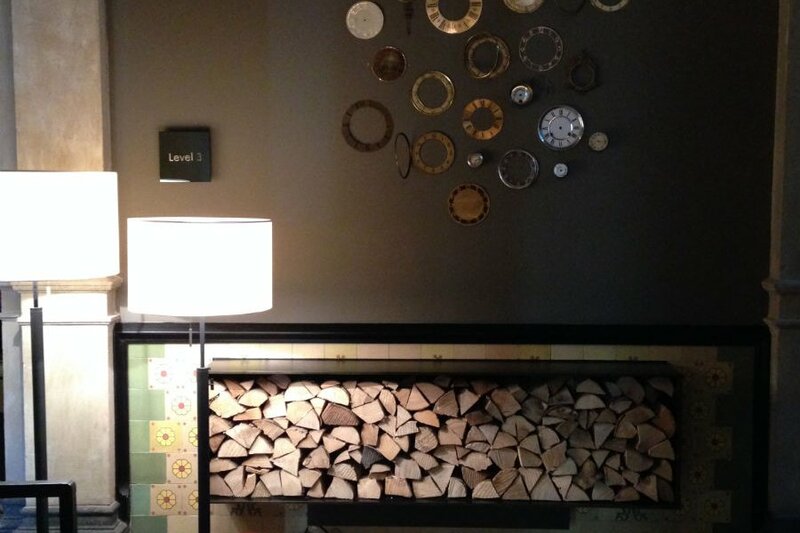 The Dylan was a dreamy oasis of elegance and discretion and late-night whiskeys by the fire. I was not psyched to leave. But I had made plans, so off I went. I needn't have worried. Within three seconds, I was completely obsessed with Conservatorium. 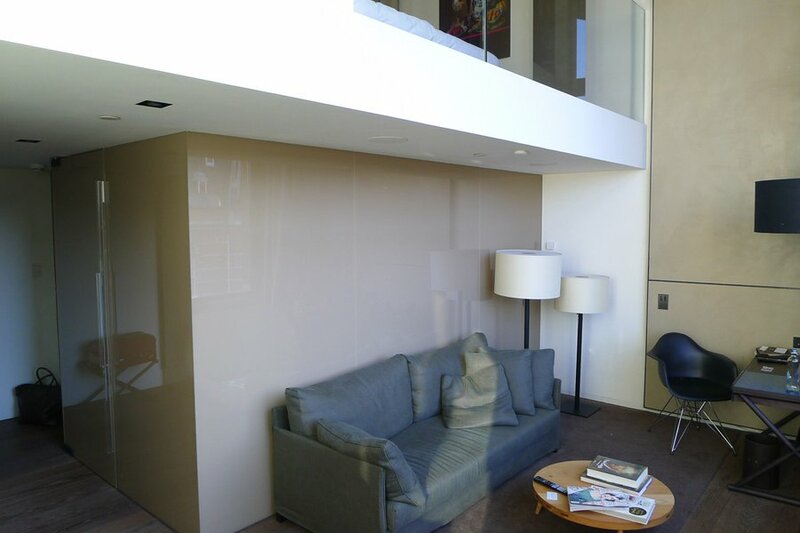 With the giant lobby, for its low couches and sky-high ceiling. With the crowd: handsome men in blazers drinking coffee; the global pack reading fashion magazines. With the mod boutiques lining the turn-of-the-century arcade floor. 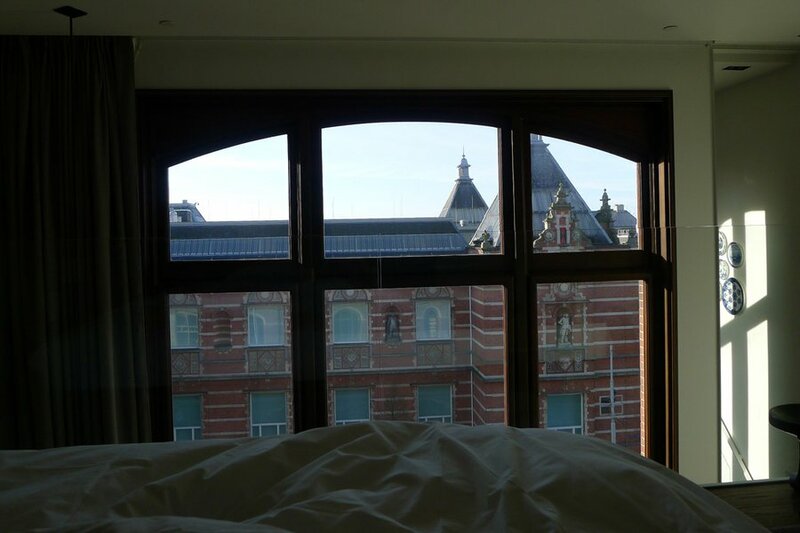 With my duplex room on the fifth floor that had a view of the Stedelijk Museum across the street. 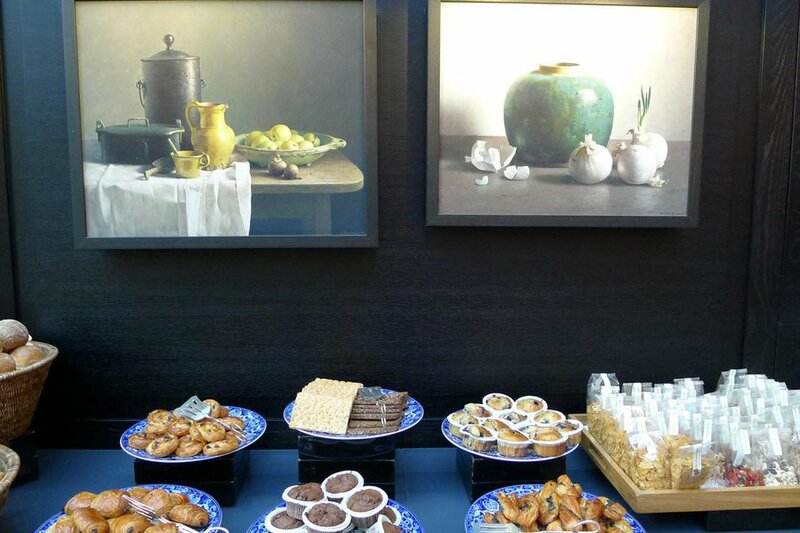 With the carefully arranged tableaux of old Italian coffeepots and minimalist Dutch ceramics. So much activity; such a calm setting. The structure itself is stunning, a mash-up of the original red brick building and a modern glass-and-steel frame that encloses the space in front of the building in an airy and soaring atrium. A modern tower holds conference rooms and offices; the hotel rooms are in the original building. Originally built in the late 1800s, the building spent nearly a century as the offices of Rijkspostspaarbank before being abandoned in the late 1970s. 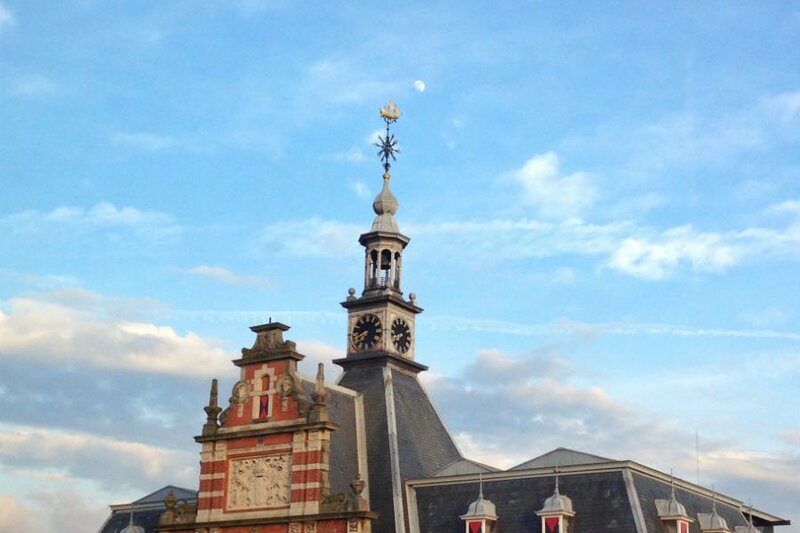 A few years later, it became the Sweelinck Conservatorium, home to three musical institutions. 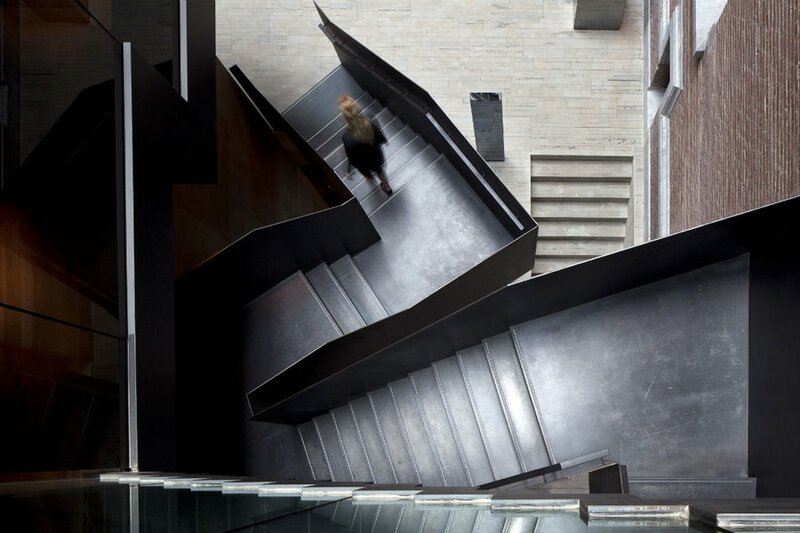 In 2008, the conservatorium moved, and the hotel process began under hoteliers, who commissioned Italian architect Piero Lissoni to do the transformation. 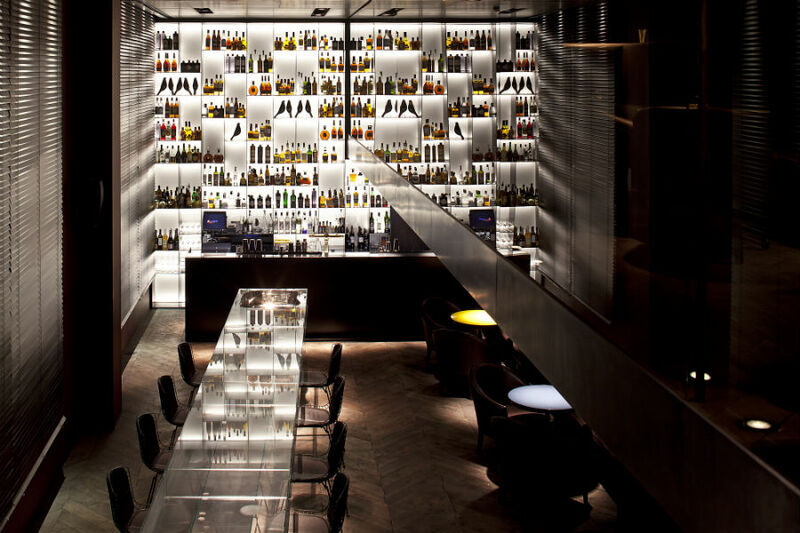 The hotel opened in 2011 and immediately caught everyone's attention. Something interesting at every turn. 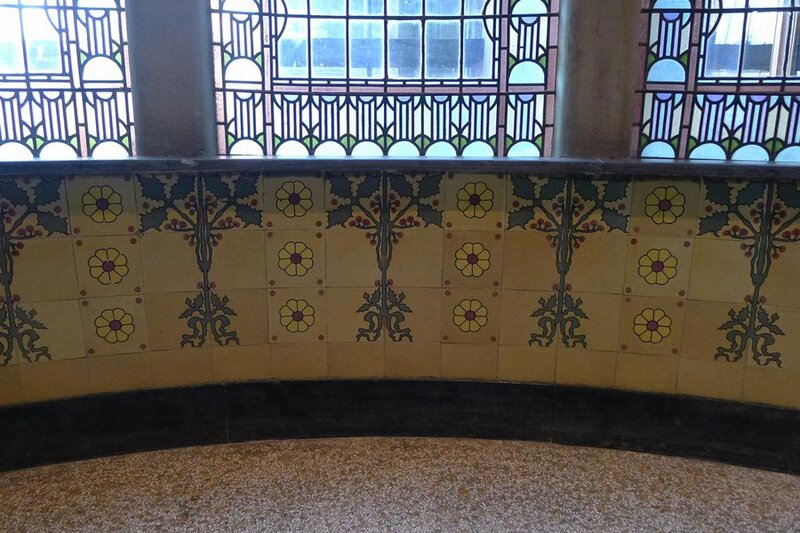 Art Nouveau tiles in the stairwells. 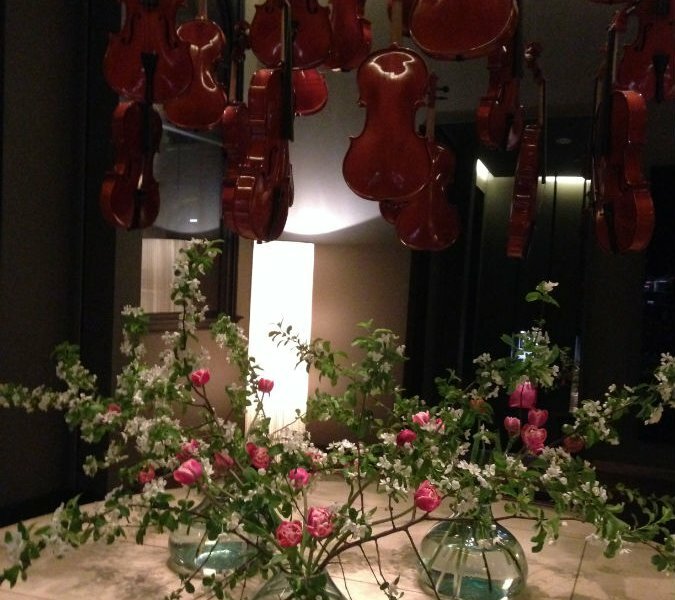 A display of violins hanging from the ceiling. (Musical motifs are everywhere, and are especially charming. 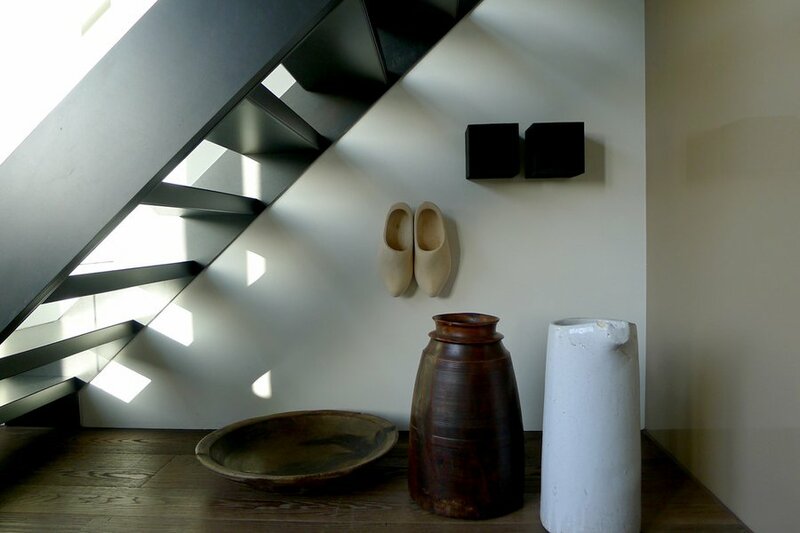 )Classic Dutch paintings reimagined in contemporary configurations. 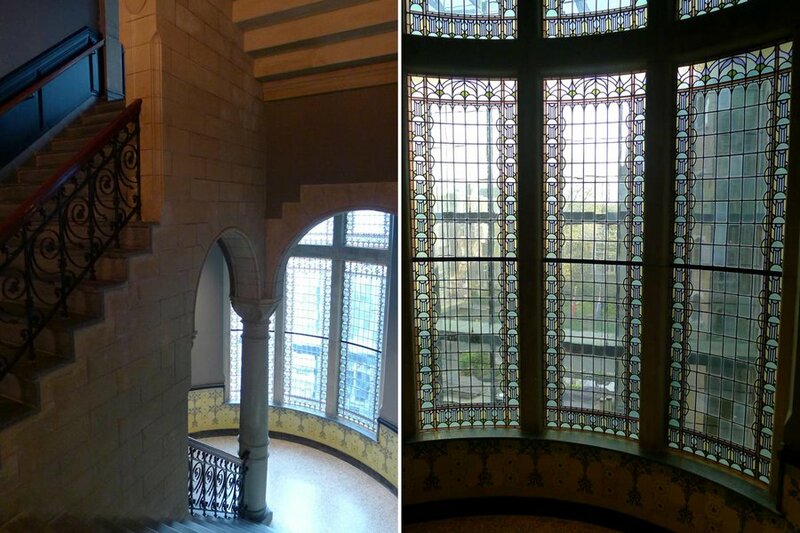 Interesting arrangements of art and objects at the landing of every floor in the stairwells. The seating areas in the lobby lounge are arranged for easy socializing (or anti-socializing). Van Baerle Shopping Gallery is a chic indoor mall that makes for fun window shopping in the middle of the night — jewelry at Bonebakker and Shamballa, beauty products at Skins, Italian gloves at Pagliaro. 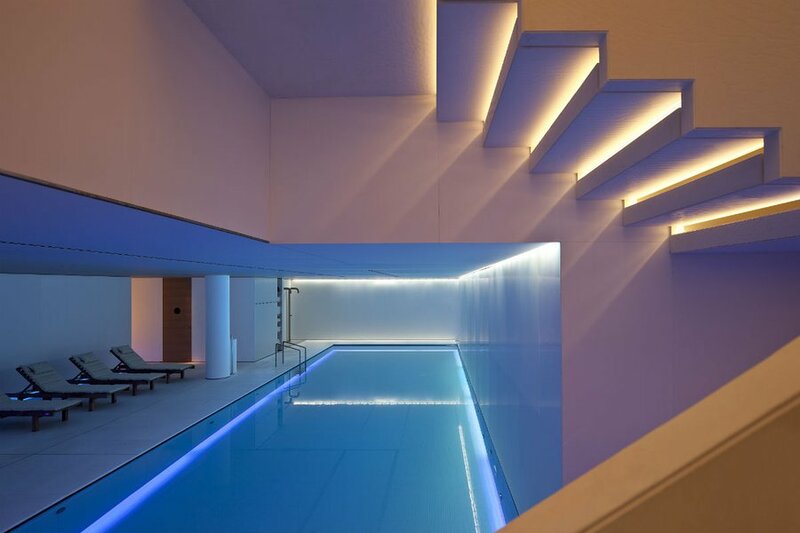 The biggest surprise was the pool within the in the basement. The award-winning spa organizes its offerings according to the elements — a big gym for fire, a healthy café/lounge for earth, yoga classes for air, and the lap pool, sauna, Jacuzzi, and steam room for water. The stairwell of the modern annex. The pool at Akasha Spa. The hotel vibe was so great, I spent my one Saturday in town at the hotel — dinner for one at in the lobby; drinks at Tunes bar, which also has a big tapas menu. I didn't eat at , the striking Asian restaurant, because I wanted a more casual meal, but I'd come back for it. 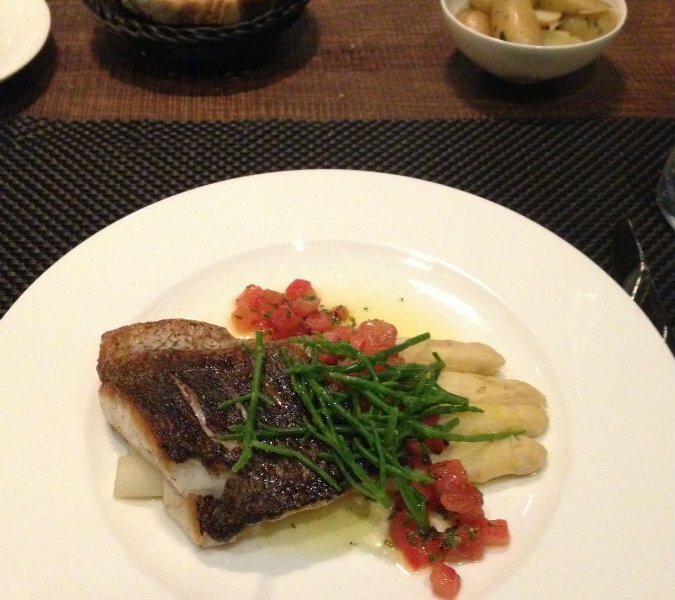 Brasserie serves bistro comfort food — grilled meats and fish, solid salads, tasty sandwiches. I ate alone, surrounded by what looked like a very local crowd, and didn't feel particularly strange about it. The manager was the right kind of attentive, respectful that I had a novel to keep me company, but still ready to chat. 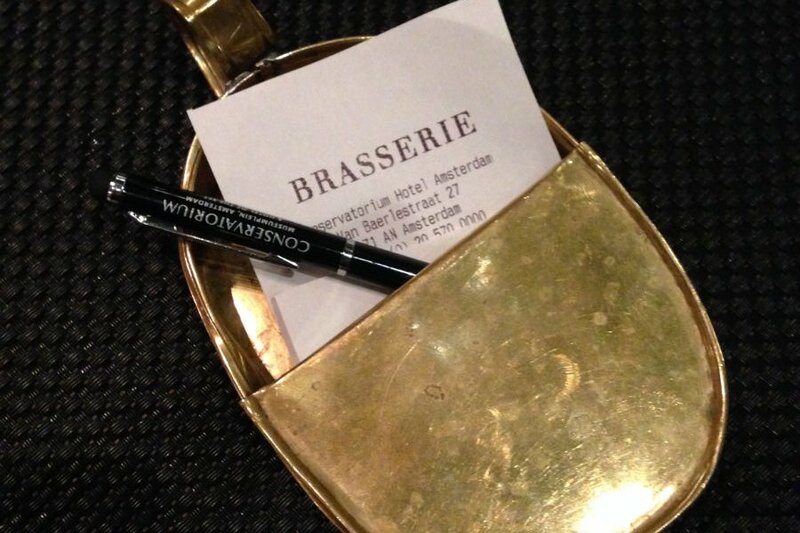 As for the small details that I keep talking about throughout the hotel, even paying the bill was charming: The check was served in a bronzed sardine tin. So cute. 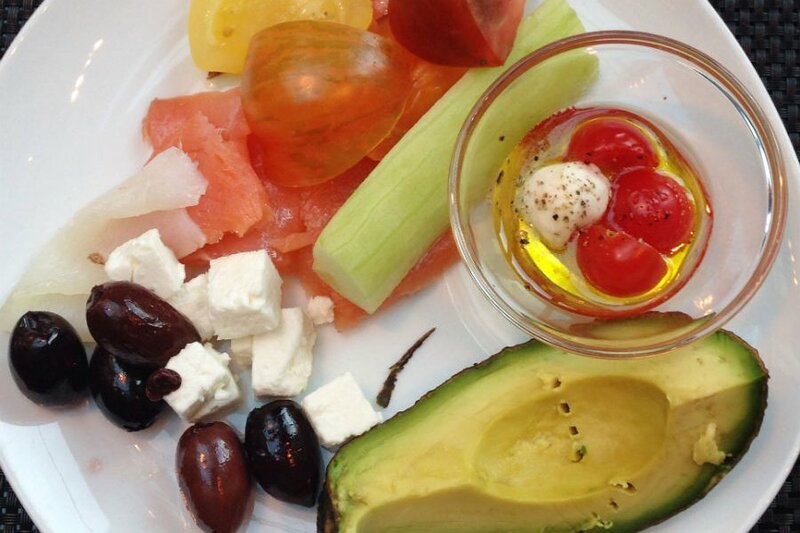 Breakfast at Brasserie was a terrific spread of juices, fruits, breads, and sliced meats. It felt like I was eating from a Dutch still life painting. There are 129 rooms on eight floors with varying configurations and sizes. The wide and high-ceiling hallways are filled with art and make the space feel much more open than hotel hallways usually are. I was in a duplex guest room. 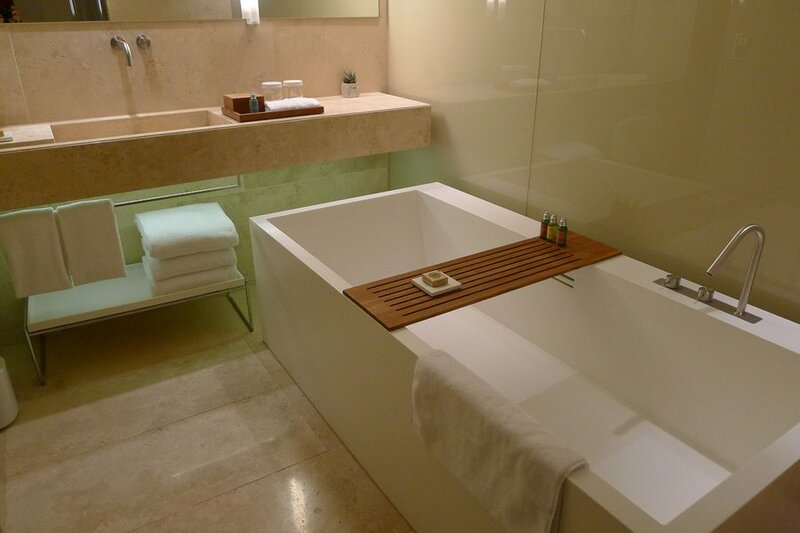 The ground floor held the bathroom (big, modern fixtures, long tub for great soaking, separate waterfall shower) and the living room (sofa, desk, TV, tons of closets, Nespresso machine). Upstairs was the bedroom. The furniture was sleek and contemporary, minimalist and comfortable. Floor-to-ceiling windows made for an absolutely stunning view onto the Stedelijk Museum; oversized vases under the floating staircase were yet another Dutch still life come to life. Me, obviously. Anyone who appreciates great architecture, thoughtful design, and the preservation of old things. Anyone who wants to be on the canals in Old Amsterdam. Museum Square has a city feeling, not a village vibe. That said, in five minutes, you're at the canals. This is how Amsterdam feels. 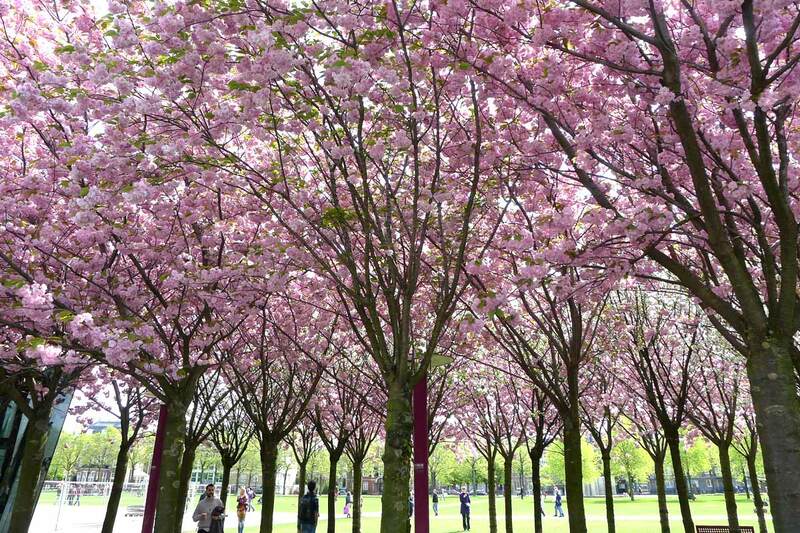 On Museumplein. Amsterdam photos by Pavia Rosati. 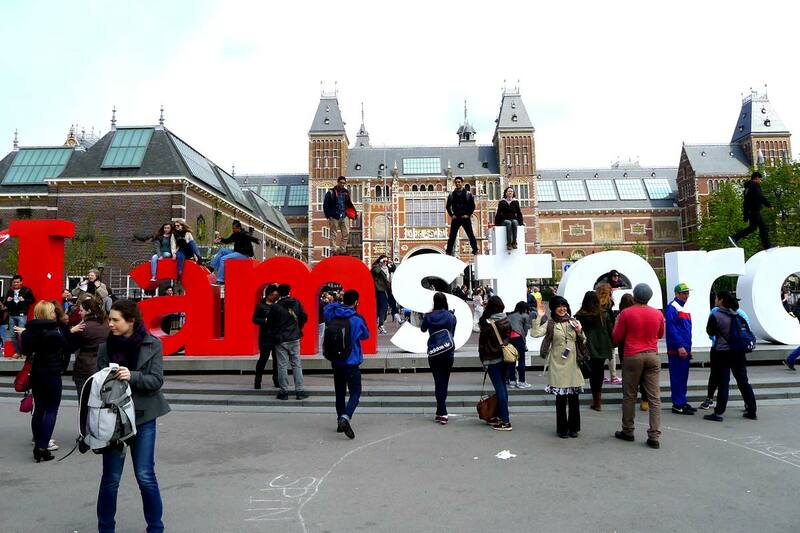 People just being Dutch in front of Rijksmuseum. 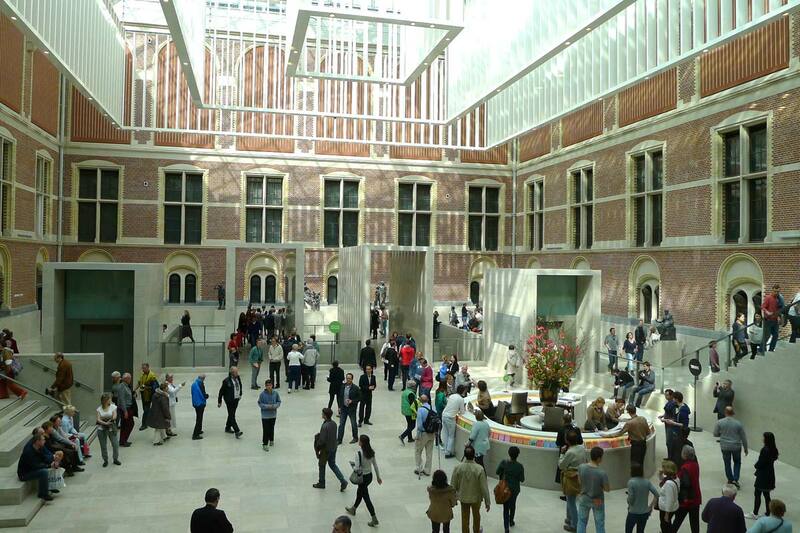 Museum Square is home to three of Amsterdam's best and most impressive museums which have all undergone recent refurbishments — of Dutch painting, of modern and contemporary art, and , which is home to paintings you've seen your entire life. All are worth a visit and could easily fill a lovely afternoon allowing for time to hang out in Museumplein park between visits. Nearby is Vondelpark, a sprawling city park with paths and ponds and sculptures and lots of gorgeous, healthy Dutch people being awesomely Dutch — riding bikes, having picnics, playing games. The biking thing in Amsterdam is no joke — EVERYONE is riding in this town. So join in. It's a great way to get around town, and makes for maximum flexibility. I borrowed a bike from the hotel for a day and wandered the city. 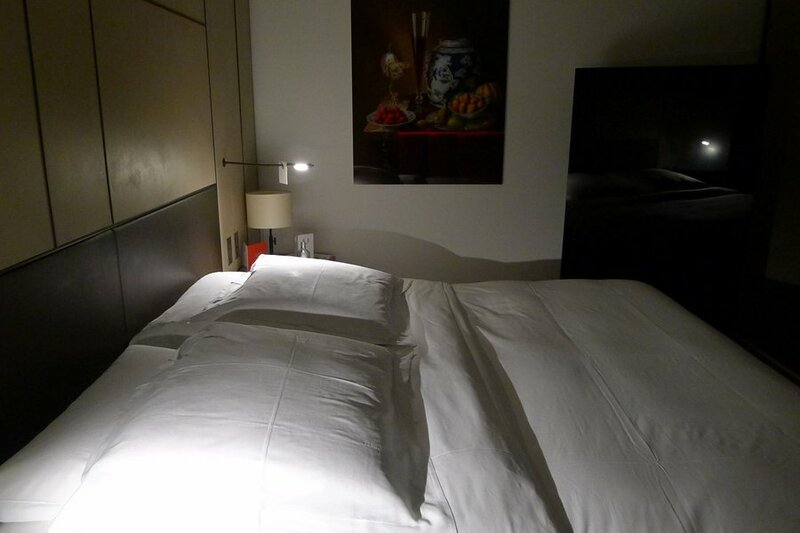 Rates start at €545. .